Microsoft has just launched another build for Insiders in the slow ring on PC and mobile, this time Windows 10 Build 14393.3 which includes a number of new fixes and improvements, and known issues for PC and Mobile. Build 14393 fixed Surface Books and Surface Pro 4’s bugcheck (bluescreen) due to a camera driver issue. 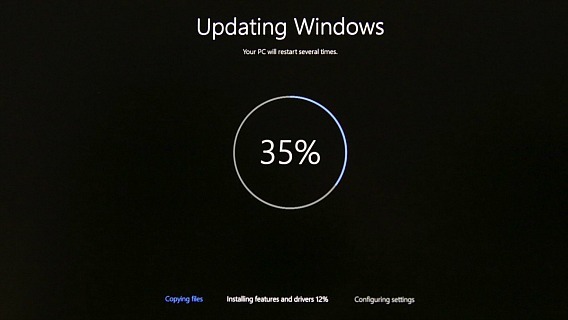 The bad driver is removed on updating to this build and a new driver is rolling out via Windows Update. Microsoft have changed the backup format for Windows 10 Mobile devices to reduce the size of the backup stored in OneDrive. As a result, if you do a backup on a device running the latest Windows 10 Mobile Insider Preview builds and move back to the released version of Windows 10 Mobile (Build 10586) and restore from your backup – your Start screen layout won’t restore and remain the default Start layout. Your previous backup also gets overwritten. If you need to go back to Build 10586 temporarily, once you are on Build 10586 you should disable backup so it doesn’t overwrite the good backup from Windows 10 Mobile Insider Preview builds. We will stop noting this going forward. If you’re on the insider, you can update to the Build 14393.3 by head to Settings -> Update & security -> Windows Update -> Check for updates. If you’re not yet as insider members and you want to be, head to Windows Update but click on Advanced options. Under “Get Insider Preview builds”, click Get Started. Once PC reboots, go back to Advanced options and set the slider to the Fast ring or Slow ring. For Mobile, you’ll need the Windows Insider app.